Janis Small Omide, MAC, CSAC – I am a person who was “called” to help people recover from the disease of addiction. I was introduced to the alcohol/drug treatment “field” in the 90’s and witnessed it grow into a profession. I have a master’s degree in rehabilitation counseling for addiction (and am a Master Addiction Counselor-MAC). I am also a certified substance abuse counselor (CSAC) in Virginia, USA with experience in very diverse modalities. However, my most valued accomplishment has been learning and teaching the 12-steps of recovery. My greatest reward comes from witnessing the transformation of others in body, mind and spirit. I am interested in Recovery Africa because I witnessed Byron Merriweather struggle in his addiction and grow in his recovery—and he invited me to the team. I support the late Father Martin’s goal: to ease the suffering of individuals and families, around the world, affected by addiction. 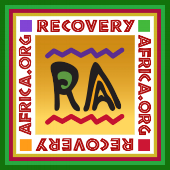 I see Recovery Africa (RA) as the pioneer for providing leadership and resources for addiction treatment, prevention and recovery for African stakeholders wanting to address problems faced by people in need of treatment for addiction. Using a network of professionals and evidence-based resources from The United States, RA will be able to share proven programs, policies, information, data and funding to help implement effective programs in Africa—while acting on the disease-model and knowledge that treatment is effective, prevention works, and people recover. ALERT: Such a broad scope will make it difficult to NOT try to be all things to all people. RA will be constantly challenged with staying focused on “its” defined mission, goals and purpose. Janis Omide is on the Advisory Council of RA. NOTE: Please visit her website.